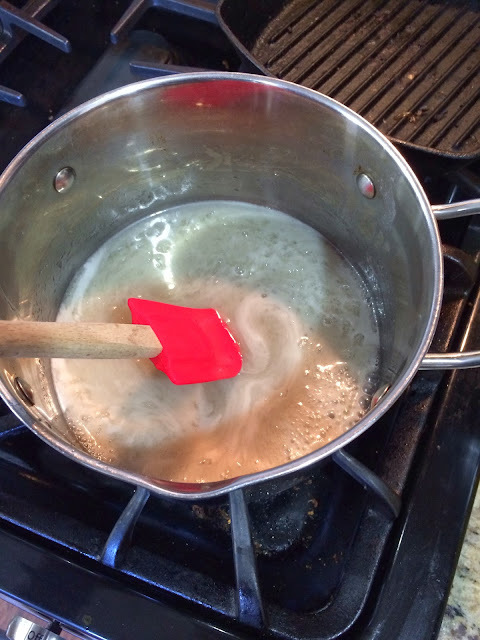 In a pan, heat the sugar, water, coconut milk, and salt on medium heat. 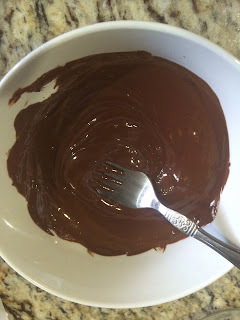 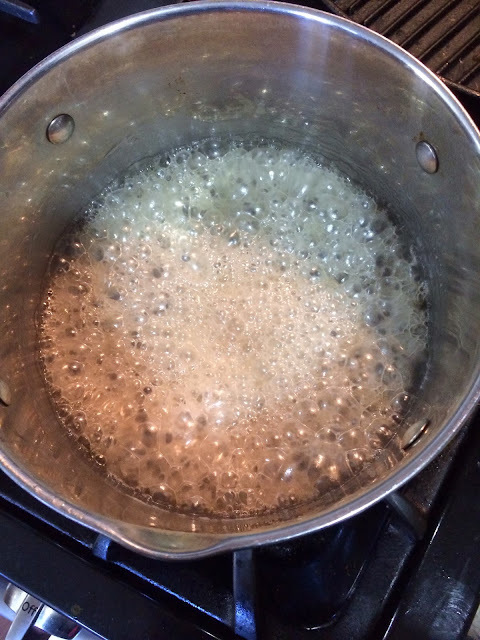 Allow the mixture to come to a medium simmer and cook for 5 minutes. The mixture should look white and bubbly and be slightly less thick than maple syrup but more than than water. 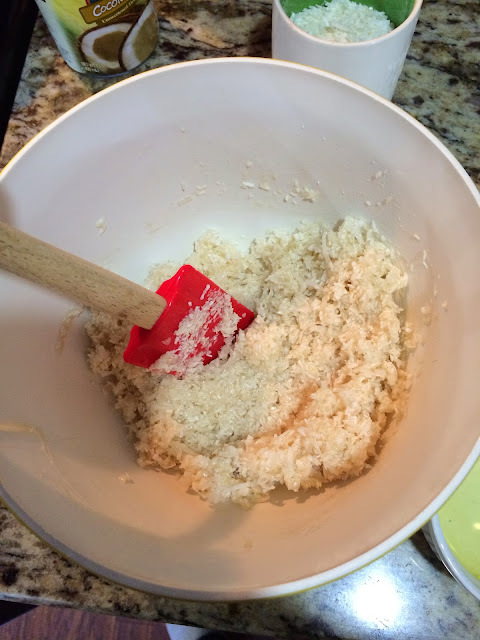 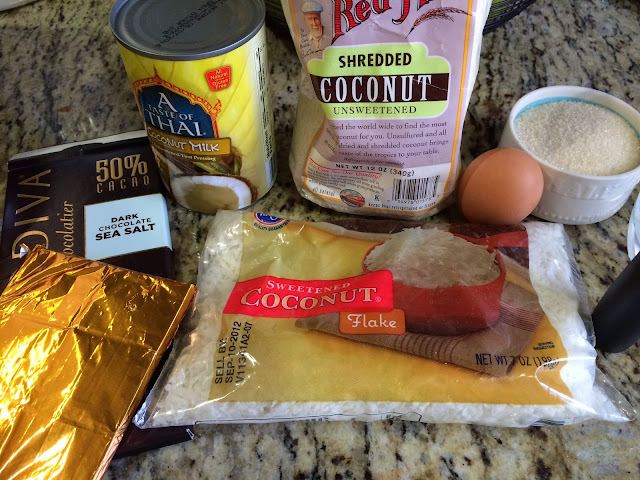 Add 1½ cups of coconut to a medium mixing bowl. Stir in the warm sugar coconut water and stir the coconut. Stir in the egg white followed by the remaining coconut until well mixed. 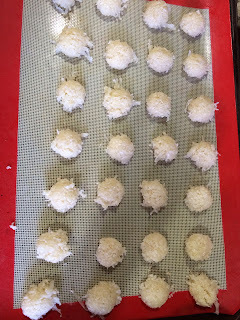 Using a small cookie scoop or melon baller, firmly pack the scoop with the coconut mixture and place on a baking sheet lined with a silicon mat or parchment paper. 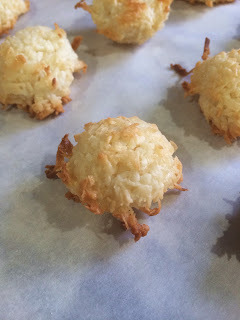 Bake for 15 minutes until the outside shell is crispy to the touch and the tips of a nice light golden brown. 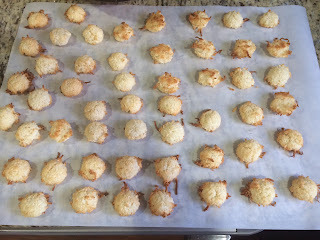 Remove the sheet from the oven and allow the macaroons to cool for 30 minutes. 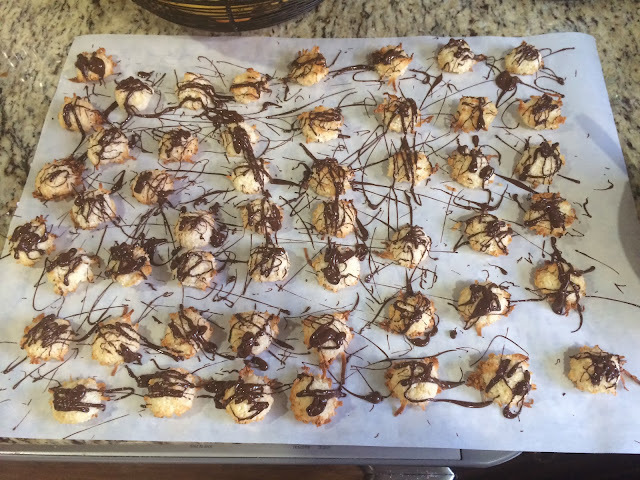 White the macaroons are cooling, melt the chocolate chips in the microwave for 30 seconds. 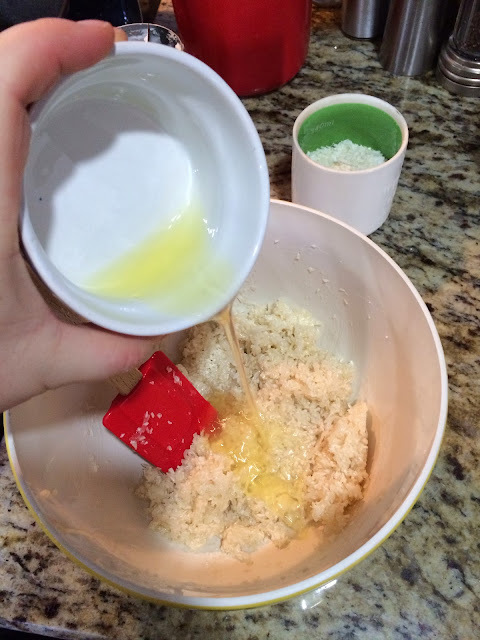 Stir the chips and if needed, microwave again for 15 seconds. 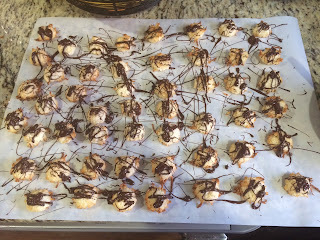 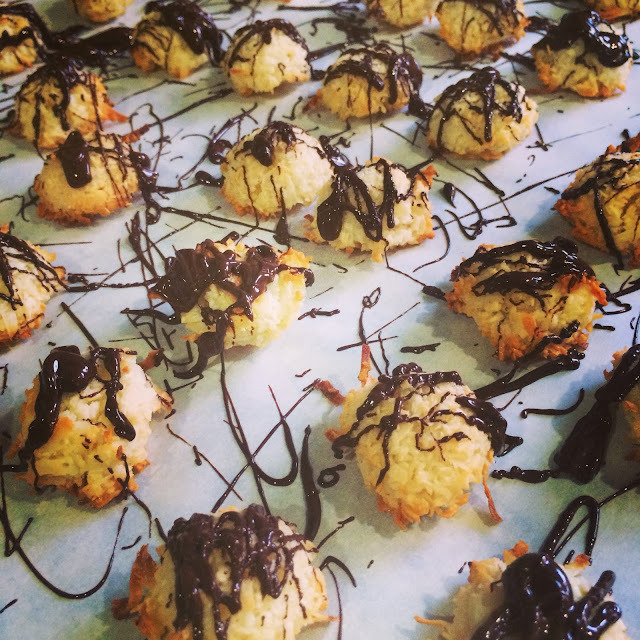 Drizzle the chocolate over the macaroons. Allow the macaroons to completely cool before serving.